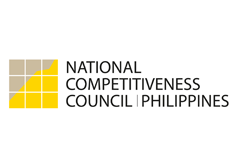 The National Competitiveness Council is pleased to announce that the country has advanced twelve notches to rank no. 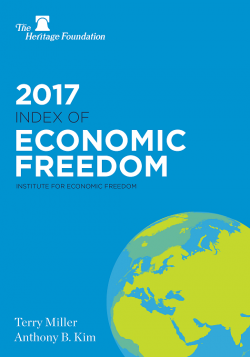 58 out of 180 countries in the latest release of the Economic Freedom Index 2017, making it to the top-third of the ranking. This is the sixth consecutive time the country has upgraded its ranking since 2011. From the previous score of 63.1, the Philippines increased 2.5 points to 65.6, maintaining its status as a “moderately free” country for four years. This makes the Philippines fourth in the ASEAN region, trailing behind Singapore (2nd), Malaysia (27th), and Thailand (55th), and ahead of Indonesia (84th), Cambodia (94th), Laos (133rd), Myanmar (146th), and Vietnam (147th). In the latest EFI, the Philippines significantly progressed in the area of Monetary Freedom, advancing 18 notches (from 86th to 68th) and also improved in the areas of Labor Freedom (up 6, from 109th to 103rd), and Government Integrity, formerly Freedom from Corruption (up 1, from 87th to 86th).However, it stagnated in the aspects of Trade Freedom (down 9, from 94th to 103rd), Business Freedom (down 8, from 99th to 107th), Property Rights (down 7, from 92nd to 99th), Investment Freedom (down 6, from 83rd to 89th), Government Spending (down 2, from 20th to 22nd), and Tax Burden and Financial Freedom (down 1, from 92nd to 93rd and 38th to 39th , respectively). The index also noted the country’s gradual improvement of the business regulatory environment that includes reduction of time and cost involved in acquiring licenses. Meanwhile, the new indicators (Fiscal Health and Judicial Effectiveness) placed the country in 26th and 110th rank, respectively. The Heritage Foundation and Wall Street Journal lauded the Philippines’ notable economic growth amid challenging global economic environment, driven by strong export performance and inflows of remittances that have bolstered private consumption, though it pointed to the absence of entrepreneurial dynamism as a challenge to long-term economic growth.